Fethullah Gulen expressed his condolences over the death of elderly brother of former Deputy Prime Minister Bulent Arinc. In his message Fethullah Gulen stated the following: “When I found out about the sad death of dear Yıldıray Arınc, the brother of distinguished politician and statesman Bulent Arınc who formerly served as a speaker of Parliament and deputy prime minister, I felt very sorry [about the situation]. I extend my condolences to Mr. [Bulent] Arınc and the family and wish that Allah gives them patience [to deal with their loss]. 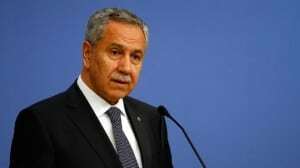 Bulent Arinc has been targeted by the Ak Party government recently and no one from the government was present at the burial ceremony of his brother.